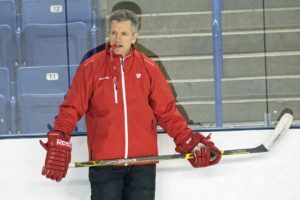 The Wisconsin men’s hockey team was shutout on its home ice on Friday night, falling 2-0 to the Ohio State Buckeyes in Big Ten play. The Badgers looked a bit rusty after a three week layoff. 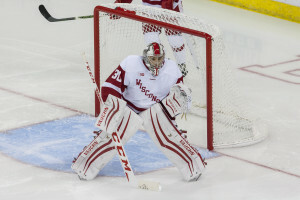 Neither team scored in the first two periods before the Buckeyes finally broke through at 8:53 of the third period when David Gust beat Wisconsin freshman goaltender Matt Jurusik on the glove side.